Personal Care Workers provide clients at home or their own family members with caring companionship, conversation and safety supervision. We train PCWs to know how to properly keep the home environment clean and free from hazards. Homemaking assistance also reduces stress on the part of the patient/client. PCWs are given the proper orientation on how to assist the client with ADL activities or activities of daily living. 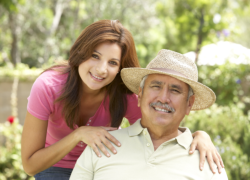 Family members can entrust the care of their loved one to a PCW while they go run errands, take a break from caregiving or go on vacation. Call our office and we can determine what services you are eligible for – 414-539-3552. If you are eligible for personal care services, then a Registered Nurse will go to your home to do an assessment and determine what services you need. 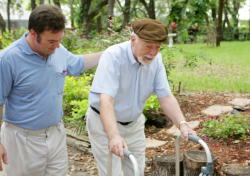 If you have your own personal care worker, the Registered Nurse will train your PCW and take all the paperwork needed to begin their employment at Lina’s Home Care during your assessment. If it’s our PCW, the registered nurse will train them on their first visit with you. Background checks are done first day of employment and every four years at Lina’s Home Care LLC.